The capital of the province of Bohol in the Philippines, Tagbilaran is the only main city on the island and a perfect place to base your vacation when you’re traveling to the amazing islands of Bohol. Tagbilaran has earned itself the title of the “City of Peace and Friendship,” and for good reason; you’ll be surrounded by helpful and generous locals giving the city a unique and special atmosphere. Located on the coast of the island, there are plenty of wonderful beaches, as well as hills on the inland side with hiking trails and scenic points. You’ll also find an interesting mix of historic colonial architecture in the city center. 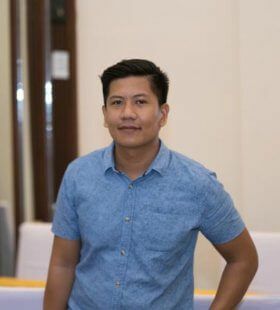 Schedule a professional photographer in Tagbilaran today to ensure you come away from your vacation with pictures of all the important moments. From fun outings on the beach to the exotic cultural scene of the city, there will be plenty of special memories from your vacation.